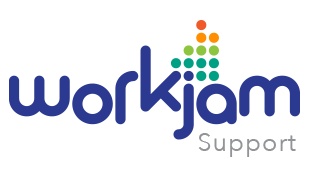 Read this article to learn how to change your WorkJam profile name. Please note: In many functions of the app, your managers and coworkers need to search for you by name, so we recommend using your first and last name instead of a nickname. Locate the avatar icon for your profile picture, in the top left corner of the screen and click on this icon. Select the Profile menu item to go to your profile settings by tapping on the word Profile. Once directed to your Profile page, tap on the word Edit. Fill in the First name and Last name fields. 6. Now, tap on the word Save in the top right corner, to save your changes. Open up the features menu by tapping on the hamburger icon in the top left corner. Locate the Profile picture icon at the top of the menu and tap on it. Click the edit pencil icon in the top right corner to edit your profile name. 4. Now, tap on the checkmark icon in the top right corner, to save your changes. Once you sign in, click on the avatar in the top right corner of your screen. Select Profile from the drop down menu that appears. 4. Click SAVE to save your updates.